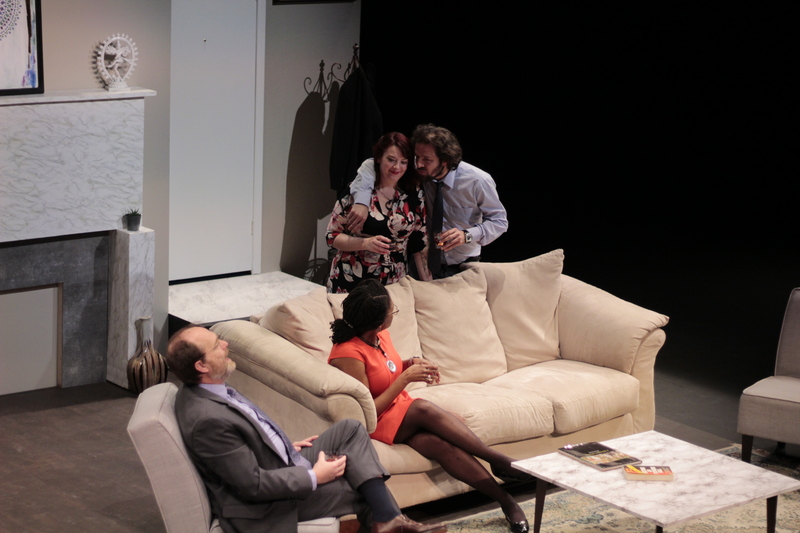 Ayad Akhtar’s play “Disgraced,” which won the Pulitzer Prize for Drama and the Tony Award for Best Play, centers around a dinner party where the facades of assimilation and tolerance begin to fall away as the characters reveal the dark complexities of their hearts. Theatre Pops is collaborating with the newly formed World Stage Theatre company to present the Oklahoma premiere of this work. It stars Oruralp Dursun as Amir Kapoor, a successful Pakistani-American lawyer living the American dream; Heather Sams as his wife, Emily, an artist influenced by Islamic imagery; Kimberly Manning as Jory, a colleague of Amir; her husband Isaac, played by Kurt Harris; and Yusef Marey as Amir’s nephew Abe. We asked Kelli McLoud-Shingen, the play’s director and founder of World Stage Theatre, a few questions about the play. Tulsa World: “Disgraced” is the first production of World Stage Theatre, a new company you have formed, done in collaboration with Theatre Pops. What led you to form World Stage Theatre? What do you hope to provide Tulsa audiences that they might not be able to find in other theater groups in town? Congratulations to Kelli for bringing your Vision to life collaboratively. You are an awesome woman with global experience. Many blessings to you and World Stage! Thanks so much for the kind words and sincere apologies for the terribly delayed response. I am so grateful for your support. We are well on our way! Onward and upward!